The first episode of Resident Evil: Revelations 2 was released this week, proving that the greatest zombie franchise in all of gaming will never die. The original Resident Evil helped introduce gamers everywhere to the world of survival horror in 1996 and has been spreading its zombie plague ever since – to date, there have been 25 Resident Evil video games, including re-releases and special editions. They’ve even spawned a relatively successful series of spin-off films, which is honestly quite rare for video game movies. While we look forward to the final episode of Revelations 2 (and consequently, the release of the full and compiled version of the game) next month, here’s a quick look at every game in the series. If you’re missing a few installments in your repertoire, or even if you’re totally unfamiliar with them all, consider this as our way helping you get caught up. Originally titled Bio Hazard in its home market of Japan, Resi was responsible for bringing a lot of positive attention to the zombie and horror genres of video games in the United States (we talked about it in our blog about the most important zombie franchises, too). The player controls an agent, either Chris Redfield or Jill Valentine, of S. T. A. R. S., the Special Tactics and Rescue Service. After sent to investigate a series of murders, the team becomes trapped in and must escape from a mansion filled with monsters and puzzles. Resident Evil immediately gained a huge amount of popularity, but not necessarily because it was the first game of its kind. In fact, during its development, it was intended to be a remake of Sweet Home, an older Capcom game that was only released in Japan. Faced with production delays on Resident Evil 2, Capcom released a Director’s Cut version of Resident Evil in the meantime. The game included a playable demo of the upcoming sequel, but more importantly, an extra mode that changed quite a few key aspects of the original game. Cosmetic changes, like the characters’ outfits, were made, and he PC version also came with uncensored cutscenes, for those looking for a little extra gore. Updates to the gameplay included totally rearranged item locations. This meant that puzzles often had to be approached and solved in different ways than before. 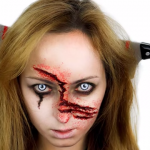 The player’s basic handgun was also given the ability to instantly decapitate and kill a zombie. So, even though the story was the same, players were able to discover the game all over again – a second chance to play a classic for the first time. 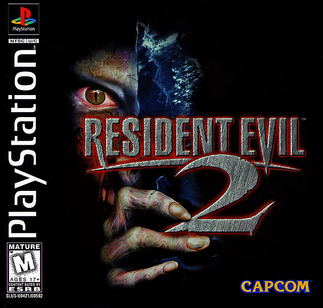 Resident Evil 2 entered development shortly after the release of the first game, but was almost entirely scrapped more than halfway through the process. The initial version of RE2, dubbed “Resident Evil 1.5,” was abandoned and re-worked when developers thought the direction of the game wasn’t scary enough. The finished Resident Evil 2 featured a more suspenseful soundtrack and cinematic camera angles and set pieces as a result. The characters changed, too. RE 1.5 featured two playable characters, Leon Kennedy and Elza Walker, the latter of whom was replaced by Claire Redfield (Chris’ sister) in the final game. Resident Evil 2 also saw the two characters’ story lines intertwine, unlike 1.5. Nemesis follows Jill Valentine from the first game in the series, and takes place immediately before and after the second game, chronologically. As Jill tries to escape the infected Raccoon City, she is constantly pursued by the Nemesis, a new type of monster which gives the game its subtitle. 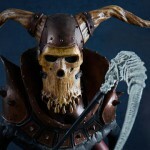 Unlike normal enemies in the game, the Nemesis continually stalks the player, providing an entirely new level of suspense. 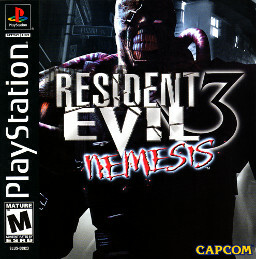 Nemesis also marked a stylistic shift in the series towards more adventure and action-oriented gameplay, as opposed to remaining purely in the survival horror genre. 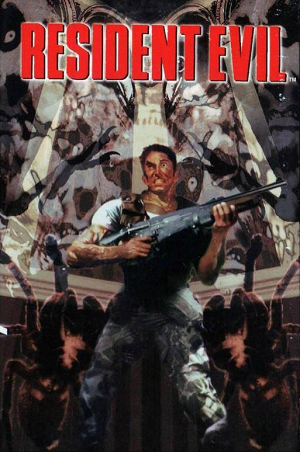 Resident Evil Survivor was the first spin-off game in the Resident Evil series, and the series’ first light-gun shooter as well. Most light-gun games at the time moved the player character automatically on rails (hence the name, “rail shooters”) to allow the player to focus completely on aiming and shooting, but Survivor did not. The GunCon controller allowed the player to use the gun to shoot as well as freely move the character. This functionality also allowed the North American version of the game to have light-gun compatibility removed (which was done due to controversy surrounding the realism of light-gun games) with minimal effort. 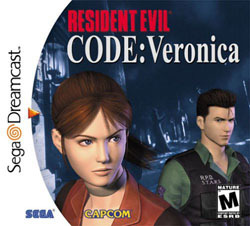 Code: Veronica was the first Resident Evil not to debut on the Sony PlayStation, debuting instead on the next-gen Sega Dreamcast. The more powerful console allowed the game to be the first installment in the series to feature fully 3D backgrounds and environments. The story is focused on Claire Redfield, once again, as well as her partner and new character, Steve Burnside, as they are faced with a new outbreak of T-virus zombies on an isolated island. The game is one of the most critically acclaimed Resident Evil titles of all-time. Simply put, Veronica X was the version of Code: Veronica that was ported to the other main consoles of the day – the Sony PlayStation 2 and the Nintendo GameCube. A few additional cutscenes and slightly enhanced graphics were added, but it’s otherwise identical. Not only does Resident Evil Gaiden suffer from the same immature wordplay as Namco’s Ninja Gaiden series, but it’s also one of the least favorably reviewed Resident Evil titles, making it an unfortunate follow-up from Veronica and Veronica X. The spin-off is a top-down game made for the Game Boy Color, making it the first Resident Evil on a handheld console, but the series didn’t translate very well to the 8-bit hardware and lacked the atmosphere of the other games. Many critics also cited poorly executed puzzles and game mechanics in their reviews. Possibly the most confusingly-named Resident Evil game, Survivor 2 Code: Veronica is a sequel to the spin-off game, Survivor, which incorporates most of the story elements of the wildly successful Code: Veronica. Quite literally, it serves as a sequel to a spin-off that is simultaneously a spin-off of a sequel. Resident Evil was originally a remake of an older game that took on a life of its own. With this installment in the series, known colloquially as “The Remake,” the circle was complete. This reworked and remastered version of the original 1996 title debuted on the Nintendo GameCube and covered the same story and plotlines, albeit with vastly updated graphics and sound. Differences in item locations and puzzles, just like in the Director’s Cut from 1997, and the addition of game mechanics seen in later installments also served to create a differing yet reminiscent experience for new fans and series veterans alike. 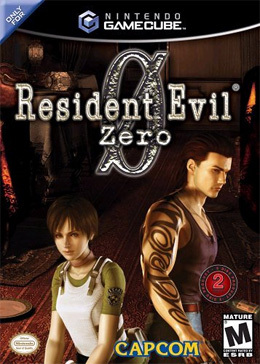 Also released on the GameCube, Resident Evil Zero is a prequel to the original game, and therefore to the entire series. New characters Rebecca Chambers, a member of the S.T.A.R.S. Bravo Team seen briefly in Resident Evil, and Billy Coen, an ex-military convict, are faced with the zombie outbreak outside Raccoon City. Contrary to previous games, Zero utilized the “player zapping” system. Rather than the player selecting Rebecca or Billy at the beginning of the game and controlling him or her throughout, the two characters may be swapped between freely over the course of the entire game. As the title suggests, Dead Aim is another light gun game. As suggested by the Japanese title, Gun Survivor 4 Biohazard Heroes Never Die, the original-language version was way more intense. Much of the game takes place at sea, on a cruise ship owned by the Umbrella Corporation, which has been (shockingly) the epicenter of another T-Virus outbreak. Bruce McGivern, the Resident Evil hero with the most American name of all-time, and Fong Ling are the main protagonists of the game, facing off against Morpheus Duvall, the one responsible for creating the outbreak with stolen virus samples. We’ve had about a dozen outbreaks of different zombie viruses so far, but now we actually have a Resident Evil game titled Outbreak. It’s also notable for being the first game in the series to feature cooperative multiplayer and online multiplayer experiences. The plot of the game focuses around the initial outbreak of the T-Virus, which makes it sort of prequel to the first game. 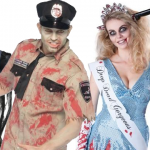 The eight playable characters are seen hanging out in a bar when the first zombie arrives, and the game follows their stories as they try to escape the city as it rapidly grows more infected. File #2 was the stand alone expansion to Outbreak. It offered new scenarios and missions to play through, enhancing the story of the last game, but the scenarios are left more or less ambiguous as to when they occur within the story. Five years after Resident Evil 3: Nemesis, the next major, numbered installment in the series finally arrived. 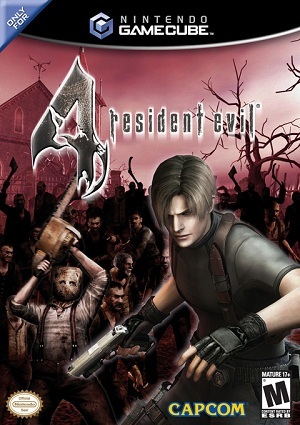 Resident Evil 4 takes place six years after Resident Evil 2 in the timeline, and once again stars Leon Kennedy. Having retired from the Raccoon City police force to get away from all the zombies, Leon is now a government special agent that has taken on a mission in a remote European village where he immediately runs into a horde of zombies. Well, kind of. The enemies in this game weren’t created by a virus, but rather a parasite called Las Plagas. The parasite has the ability to control the mind of its host, turning it into a zombie-like creature (just like the Cordyceps fungus from The Last of Us and also real life). 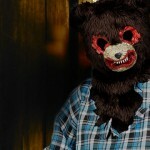 A cult known as Los Illuminados, responsible for the kidnapping of the president’s daughter and the purpose of the Leon’s mission, uses the parasite to control its members. Deadly Silence is another remake of the original Resident Evil, but on the Nintendo DS handheld this time. (Get it? DS? Deadly Silence? Whatever.) The game’s Classic Mode is just like the original, but the new Rebirth Mode includes new enemies and new puzzles that take advantage of the DS’ touch screen and microphone. The Umbrella Chronicles is another Resident Evil shooter, but it’s on-rails as opposed to the previous free-moving installments. The story of the game is structured as different scenarios, much like Outbreak, with the first three following events seen in Resident Evil Zero, Resident Evil, and Resident Evil 3, respectively – it serves to help connect the overarching story across these titles. The fourth scenario follows Chris and Jill in a completely new side-story as they make a final assault on the Umbrella Corporation’s headquarters. Resident Evil 5, the next main installment, took an even more dramatic turn towards the action genre than previous games. 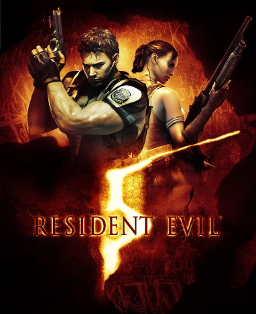 Chris Redfield makes his return to the main series, alongside a new character, Sheva Alomar, as they investigate reports of a terrorist regime in Kijuju, Africa, five years after Resident Evil 4. 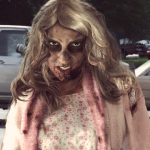 Spoiler alert: it turns out to be zombies. The Plagas parasite has returned, but its victims are quicker and more agile in their infected state (and therefore, a lot more terrifying to deal with). Resident Evil was also subject to a fair amount of racial controversy when it came out, since most of the infected enemies that the player must dispatch to stay alive are native Africans. Another rail-shooter, Darkside Chronicles is mostly a retelling of the main story lines from Resident Evil 2 and Code: Veronica, with more exploration into Leon’s and Claire’s personal lives. 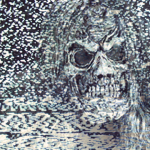 As an attempt to bring the series back to its horror roots, the game also employed “shakycam” and other cinematic techniques to bring the player more into the whole experience. This re-release of Resident Evil 5 introduced a few extra scenario missions as well as a new versus multiplayer mode. In one of the new expansion missions, Jill Valentine and Josh Stone are playable characters, joining the fight with Chris and Sheva. The Gold Edition also featured new player costumes, such as the zebra print-clad “Safari Chris,” as well as support for Sony’s Move controller, which was purchased by approximately seven people in North America. The first Resident Evil game released on the Nintendo 3DS featured gameplay inspired by the “Mercenaries” side missions and mini-games in RE4 and RE5. The game itself was solid, albeit nothing special, but got a huge amount of negative attention due to the fact that Capcom, in an effort to reduce the sales of used video games, made saved data on the Mercenaries 3D cartridge permanent and un-erasable. In other words, players wouldn’t be able to buy the game used and play through the game from scratch. Even owners of the game wanting to replay the entire experience would need a fresh copy. Revelations was also a 3DS game, but fortunately did not make use of the previous installment’s un-erasable data system. It also supported the 3DS Circle Pad Pro, a second analog stick peripheral for the console that most people agree should have just been a part of the 3DS in the first place. 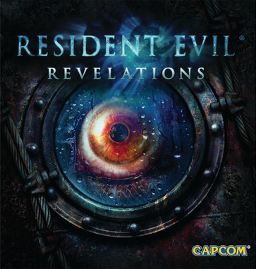 As for the game itself, Revelations follows Jill investigating a deserted ship in the middle of the Mediterranean Sea, set sometime between the events of Resident Evil 4 and 5.The game was later remastered in HD and ported to the PlayStation 3, Xbox 360, and Nintendo Wii U. The most recent pure shooter in the Resident Evil series features Umbrella Corporation mercenaries as the protagonists, for a change. The story is a hypothetical situation that could have occurred around the times of the events of Resident Evil 2 and 3, and involves plot points that tie into those games, such as Umbrella trying to hunt down the Nemesis creature that was chasing Jill. 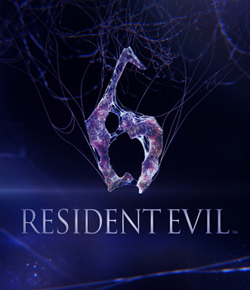 Resident Evil 6 focuses primarily on Chris and Leon, as well as series veterans Ada Wong and Jake Muller. Each character is playable in their own scenario, all of which intertwine to form one, cohesive story line. The virus has also returned to replace the parasite-driven enemies, but it’s a new strain known as the C-virus this time. The game’s four-tiered story drew heavy praise from most critics, but the game’s awkward controls and mechanics have left it with an average-at-best legacy. It’s not often that games get some things so right and others so wrong, but when they do, it makes for a polarizing response, to say the least. Famitsu, regarded as the gold standard of games journalism in Japan, scored RE6 a shockingly rare 39/40, but the title still picked up plenty of sub-50% reviews. 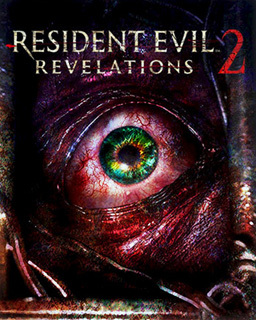 Finally: the latest Resident Evil game, the sequel to Resident Evil: Revelations. With Claire returning as the main protagonist, the game is being released episodically in four parts. The first one came out just this week, and the other three will be released one week apart with a final, compiled version of the full game available on March 20 worldwide. All cover arts used in this post for illustrative purposes are ©Capcom.